When a special anniversary comes, it is important to commemorate the wonderful marriage that you and your spouse have shared together. 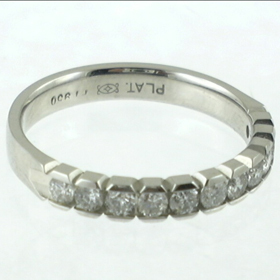 Our eternity bands symbolize the beautiful and eternal union that you have with the love of your life. 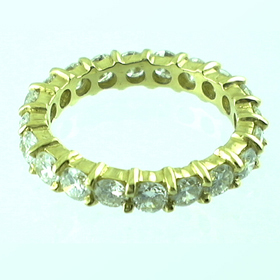 Traditionally, partners give eternity bands to each other for a significant anniversary. An eternity band is a single band that is set with a continuous line of small, identically cut precious stones, usually diamonds. They are a lovely way to express your never-ending love for each other. Smoke Tree Jewelers has a stunning collection of bands, handcrafted by our fine jewelers. We have created some gorgeous rings that you will never want to take off your finger. Smoke Tree keeps the highest standards when it comes to making our jewelry- from the the gems we use to the careful and precise process we use to construct your perfect piece. 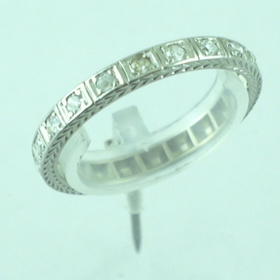 You will not be able to find pieces like ours in any other fine jewelry store. 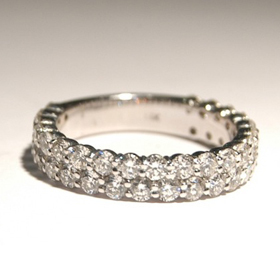 Come into Smoke Tree Jewelers to find an eternity band that is as special as your marriage. If you ever have any questions about our collection, talk to our jewelers about finding the perfect ring for your partner.